See how Liz and Dennis plan their RV route. They even share their top 3 resources they use to help them find camp sites, cool and unique excursions, restaurants, and more! Our first year as full time RVers cost us way more than we ever expected. We’re following up and sharing our projected cost to full time RV in year 2. We expect to cut our costs by 1/3 in our 2nd year. See our updated RV budget and what we feel is a more realistic idea of what it cost to RV full time. 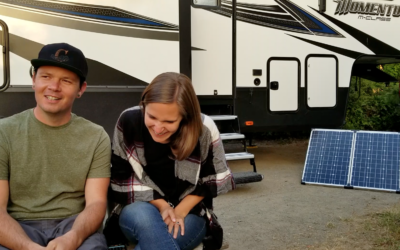 We share our actual 1 year of RV expenses so you can see what it cost us to RV full time. 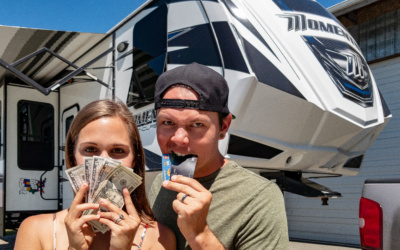 We break down where we spend our money, how much we spent in our first year, our average for each month, and things to plan for in your full time RV budget. 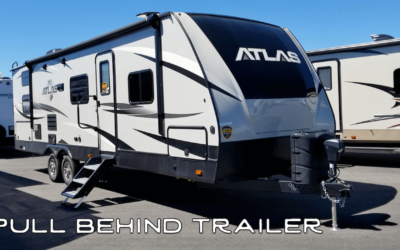 In this video we share with you why we chose our rig and what the pros and cons of each type of RV are to make choosing an RV as easy as possible! 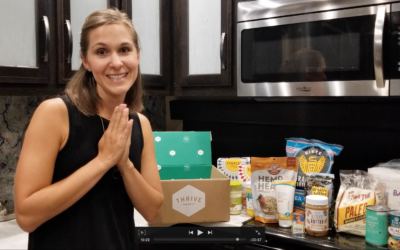 Thrive Market is a online market that allows you to order healthy, organic, GMO-free products where ever you are in the United States. 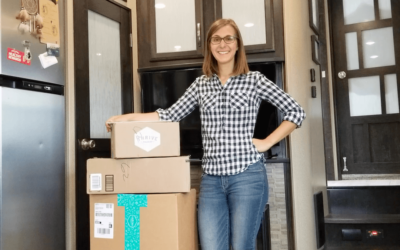 In this video and post we talk about why Thrive Market is perfect for full time RVing, what you get when you join, and go through one of our deliveries showing our favorite products. Getting mail as a full time RV’er can be tricky. We share the mail service we use to get packages, mail, and all of our favorite things on the road and RV.